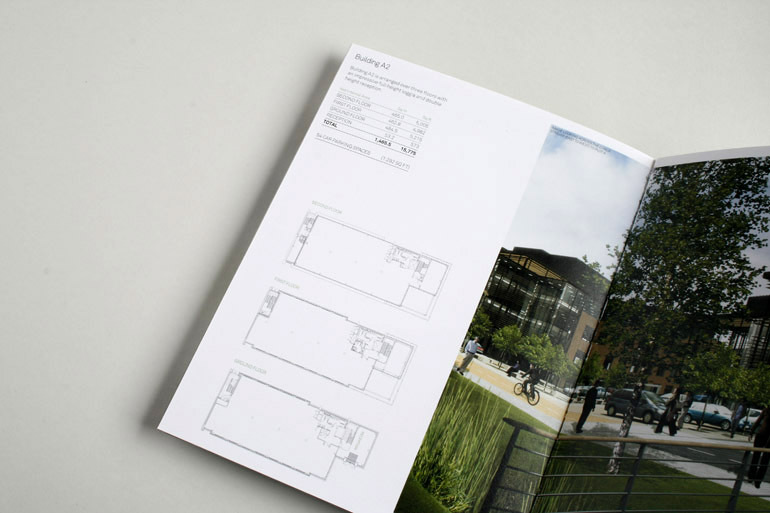 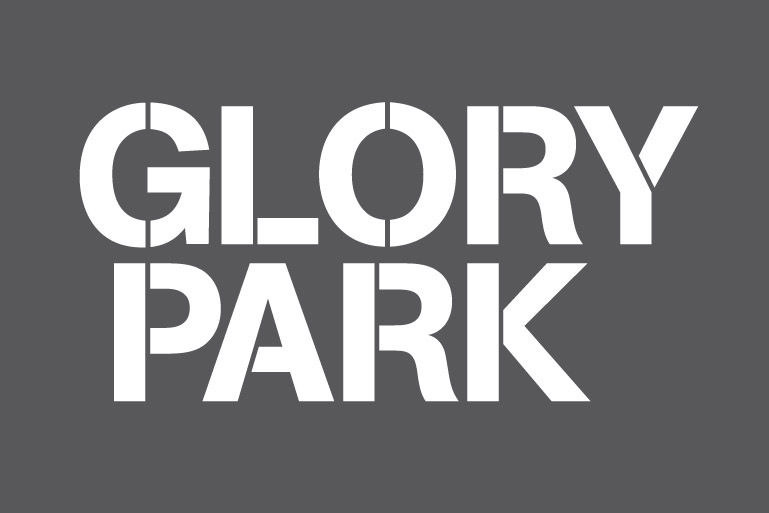 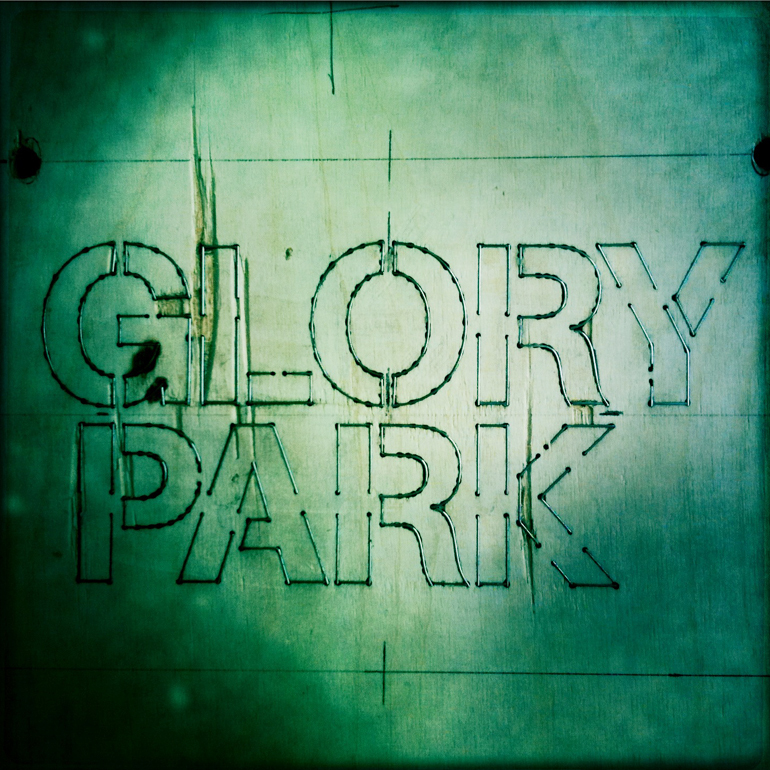 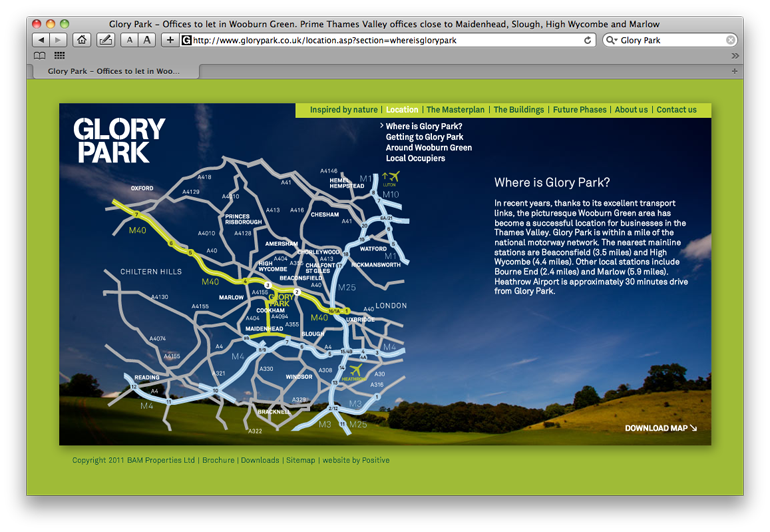 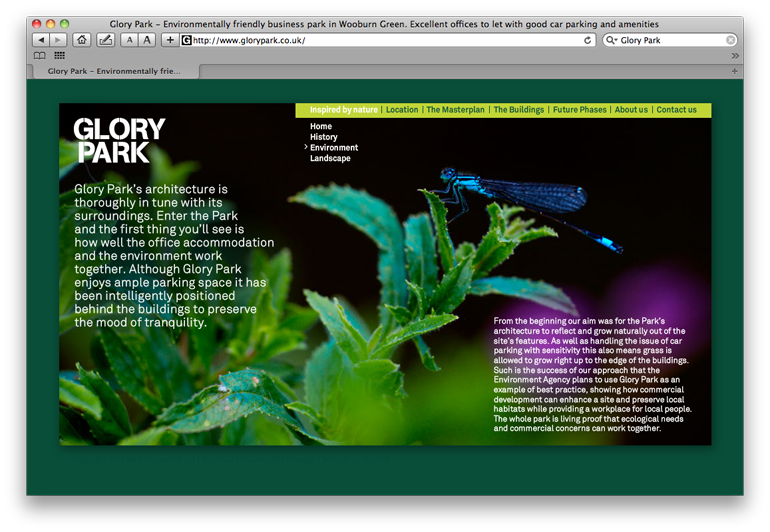 Glory Park is a 184,000 sq ft business park, cited as the most sustainable commercial development in the Thames Valley. 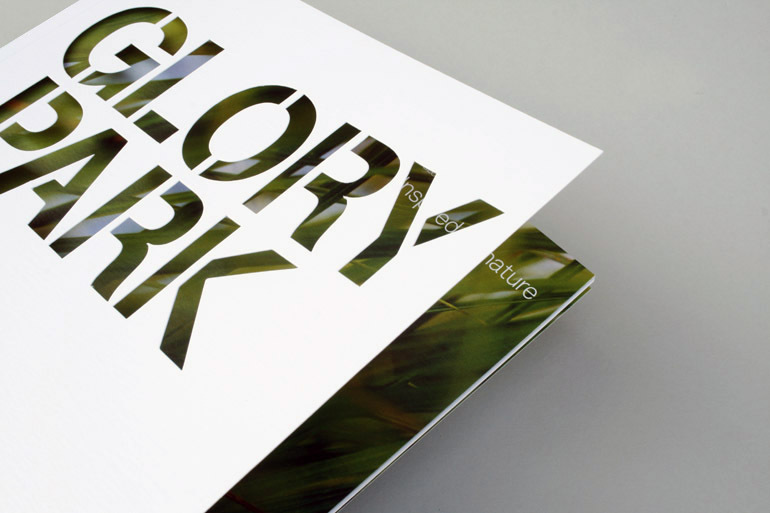 Built by BAM Properties on the site of a 13th century paper mill, we based the brand identity on its long-standing industrial heritage allied to an environmental sensibility. 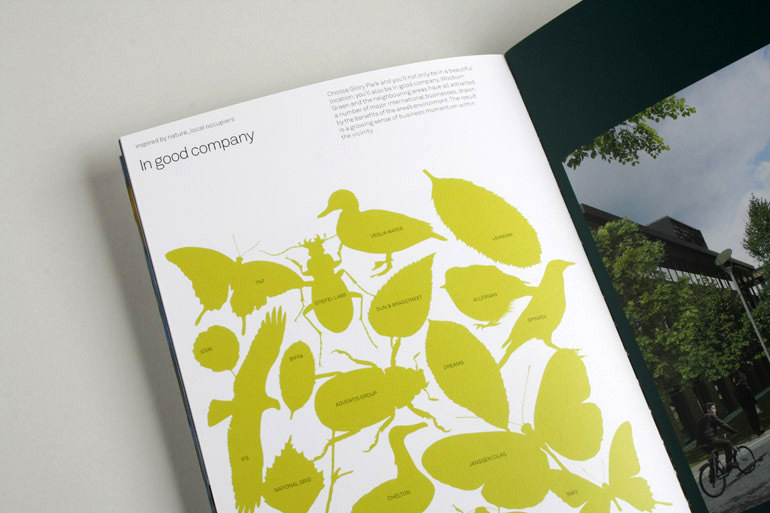 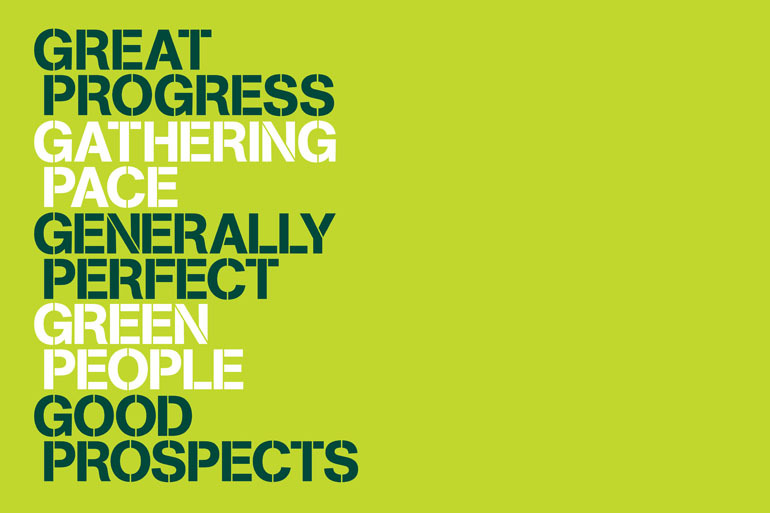 A combination of confident typography and stunning natural photography (taken on site by Philip Sayer) ensured the scheme made a strong impact when launched in 2008. 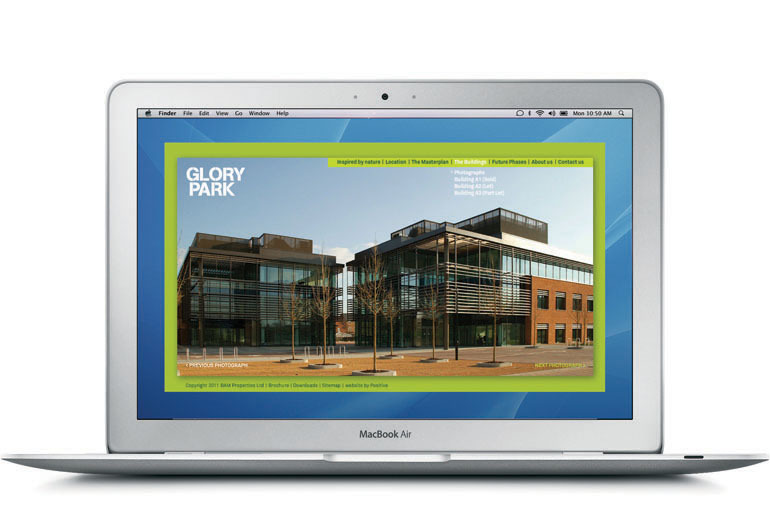 Now fully-let, BAM and Northbank are about to embark on the Phase II marketing.